Are you planning to travel somewhere by plane? Looking for cheap tickets? Are you having difficulties how to spare some money while booking a flight? Travelling by airplane is mostly expensive, but you can even find very cheap tickets and spend less money than travelling by bus, train or car, did you know that? Airlines often change the prices or offer too expensive tickets, just for the date when you intend to travel and it seems that everything is being plotted against you. Well, if you follow the tricks written below, it doesn’t have to be exactly that way. You would be surprised how cheap flights can be. This is probably the smartest thing to do if you wish to buy a cheap ticket. Try using Google Flights or Skyscanner, two powerful flight search engines. Enter your desired destination and date of departure and then add a price alert by entering your email address. This way you will be informed about any price variation. At the first occasion, as soon as you receive an email notification with a cheap possibility of flight booking, jump at the opportunity. It would be highly improbable that the prices will decrease even more, so better not to risk it, while you still can, because prices change quickly, every day. The next advice is to look for the traditional way of booking cheap flights. How is that? Just search for the low-cost companies, there are more and more of them, in every country. Check first if there is some possibility from your city or the nearest one to you. If it isn’t working, consider travelling to some other country next to yours, and arriving there with another method of transportation. This only if time is not so important for you. This method can save you a lot of money, again if time is not a problem for you. Often a direct flight costs way more than buying a flight with one or more stops. Yes, two flights cost less than one, crazy right? The only disadvantage is that you will probably have to check a while at the airport to get the second flight. Remember, if you buy a connecting flight from the same airline and your first plane is delayed, in case you lose the connection, you can travel for free on their next plane. And if they don’t have another plane on the same day, they should give you free accommodation for the night and offer you the earliest available flight on the next day. People usually buy a return ticket with the same airline, but if you choose to be disloyal, you could be actually rewarded. The combination of two different companies is usually cheaper than buying a ticket from the same airline. Check if you have this possibility and book this way, you will not regret it. And remember to check the baggage allowance of the two airlines, sometimes it could be different. It so happens that you often don’t have the possibility to come directly to your desired destination, but you have to take two or more flights to arrive there. This can be actually a great opportunity to visit another place. Instead of booking a flight with one or more stops, buy two separate tickets. 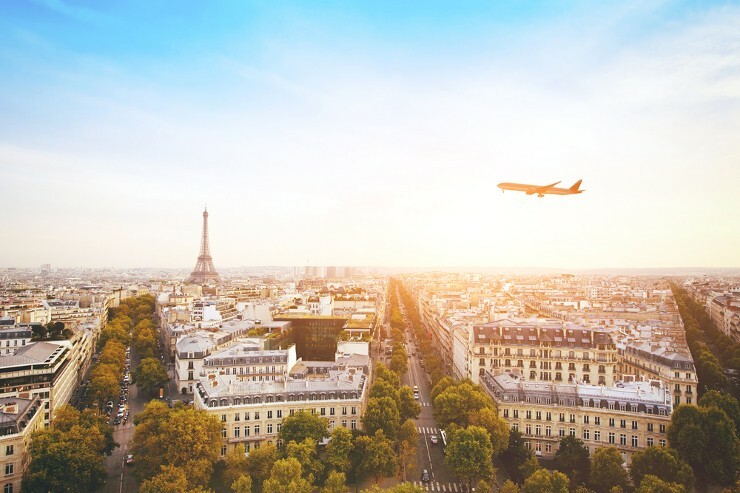 Consider booking a flight to a city of your interest that is connected to the city you wish to travel to, spend a day or two there and then take the second flight. This way you can really spare a lot of money and even enjoy visiting another city thatyou didn’t consider before as a travel destination. The last tip is referred to the following question: When should you book your flight? Really, how long should you wait before booking it? It is difficult to know and to make a decision. If you book too early, maybe there will be cheaper prices later, or if you book too late, maybe there won’t be cheap tickets anymore. Well, our advice is that you shouldn’t buy neither too early nor too late. Airlines are unpredictable and it is better not to risk that much. Calculate your time and just wait for the best opportunity, then jump at it. But don’t wait too much! And don’t buy too in advance, because you can never know if you would be prevented from the trip somehow. No matter which option you have chosen, we hope that you have succeeded in booking a cheap flight. There are a lot of cheap opportunities, you would be surprised. We wish you to travel safe and without any problems!